Last night I attended the Central Birmingham Amnesty International group meeting. The guest speaker at the meeting was Kim Manning-Cooper who is Amnesty International UK’s Campaign Manager for both LGBT Rights and the Death Penalty. The three main countries that AIUK are taking action on currently are Lithuania, Malawi and Turkey. Kim explained why these three countries are important. 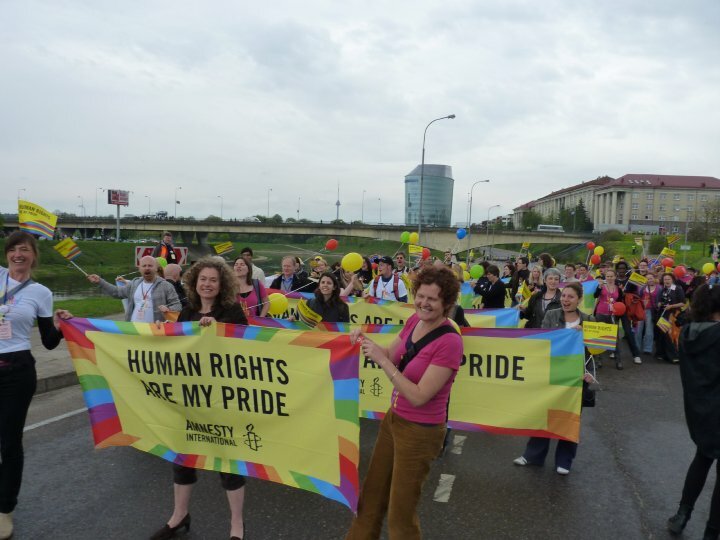 Lithuania has been important because it has introduced section 28 style legislation relating to the promotion of homosexuality. It has also recently seen Baltic Pride which took place last weekend after overcoming a legal challenge to the march. Amnesty activists from around the world took part in order to show solidarity and a photo is shown above. Activists from the UK including Kim and AIUK Director, Kate Allen, took part. Finally we had another piece of good news from Turkey where a judge had ruled that the LGBT organisation Black Pink Triange good stay open. The judge said it was because LGBT people also have the right of association so ruled against the application to close it. 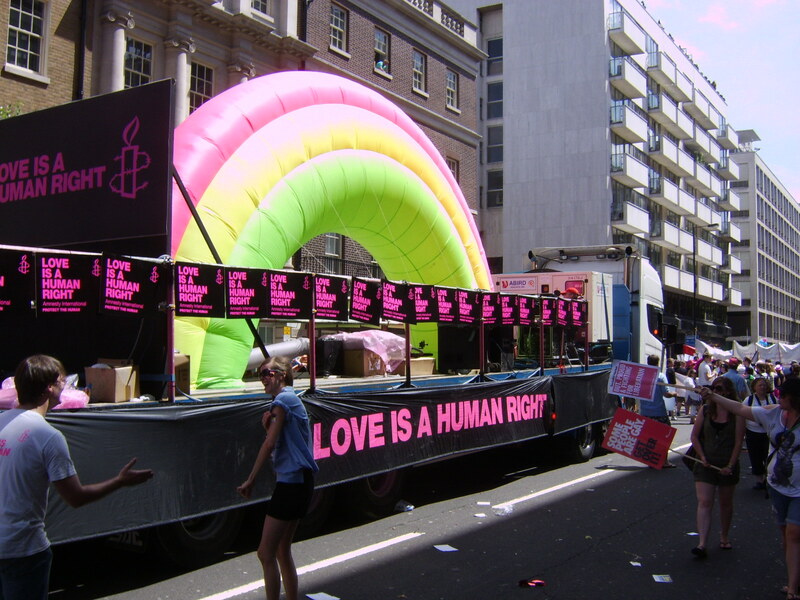 Central Birmingham Amnesty International are currently preparing to take part in Birmingham Pride Parade and collect letters for the Malawi case in the LGBT trust community tent on Saturday 29th May. To find out more contact them at amnestybrum@gmail.com or visit their blog at www.amnestybrum.wordpress.com – everyone welcome. Today i’ve been at the Regional Forum which is where the regional reps discuss what is going on in the local groups in their regions and feed back on the developments and policies of the AI UK section. We’ve been discussing the local groups strategy, how training should be developed and looking at resolutions for the conference. What is fantastic are the amazing work that Amnesty groups do and the amazing initiatives that go on. It will be great to hear directly from activists what they’ve been up to and meet the many friends I’ve made at past events. If you are at the conference and reading this post do leave a comment. For those of you who are Amnesty International members I’d like to remind you that ballot papers have been sent out for the Board elections. Do remember to vote as one of the strengths of our organisation is our democracy. I support Amnesty International because they focus on human rights violations across the globe. They don’t select a few countries and ignore all others. They don’t just highlight the fashionable country or the best known examples of human rights abuses. If you visit the international website (www.amnesty.org) you can find information on human rights violations on every country round the world. If you go the UK website there are 65 actions from a wide range of countries across the world (see www.amnesty.org.uk). I believe like Amnesty does that no nation has a monopoly on human rights and each and every one can do better. What do you think?